As magnets for talent and crucibles of creativity, dynamic cities are the pacesetters for innovation in this era of relentless global competition. Vibrant metropolitan regions play another vital role, too: Competitive cities are the world’s indispensable engines of job creation. Ensuring that cities enhance their competitiveness and spur vigorous job growth – especially in the leading-edge industries that will shape the future – is now all the more urgent, as economies large and small struggle to overcome this decade’s slow-growth stall. Job creation is the top priority for policymakers worldwide in the wake of the Great Recession, and the world’s most competitive cities will play a make-or-break role in generating the higher-skill, higher-wage jobs that every economy craves. If the world’s cities fail to live up to their full job-creation potential, then hundreds of millions of people – especially in the developing world – will remain vulnerable to chronically high unemployment and persistent poverty. Today’s jobs crisis is inflicting a painful toll on recession-wracked Athens, Madrid and Lisbon – where the slump has now lasted longer than did the Great Depression of the 1930s. Yet the impact of mass poverty is even more desperate among the poorest neighborhoods of such swelling cities as Kolkata, Kinshasa, Lagos and Lahore. The continuing upheavals in Cairo – and this summer’s riots in Istanbul and São Paulo – show how urban anxieties can explode when a chronically excluded underclass, and a frustrated middle class, have their expectations dashed. 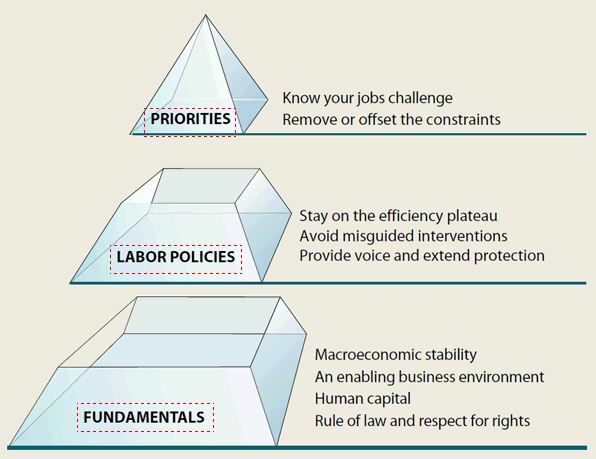 Three distinct layers of policies are needed. The role of government is to ensure that the conditions are in place for strong private-sector-led growth, to understand why there are not enough good jobs for development, and to remove or mitigate the constraints that prevent the creation of more of those jobs. Government can fulfill this role through a three-layered policy approach. Source: World Development Report 2013 team. Simultaneous surges in joblessness, population growth and urbanization are now making it more critical than ever to get urban policy right. 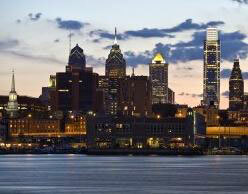 Success requires, above all, a rigorous focus on sharpening every city’s competitive edge. Mass-scale unemployment seems destined to intensify in the world’s most impoverished nations, according to this year’s flagship World Bank publication, the “World Development Report” (WDR 2013). More than 200 million people worldwide are now officially counted as unemployed – but another 1.5 billion people are only marginally employed, earning only subsistence-level incomes. 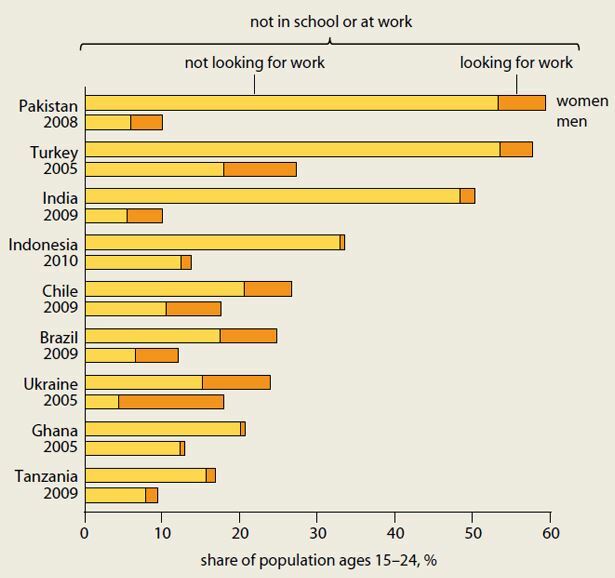 An additional 2 billion working-age adults are neither working nor seeking a job. Worse, an imminent demographic surge is poised to bring millions of young entrants into the labor force. The global economy will need to create about 600 million new jobs within the next 15 years to employ the new working-age population. About 90 percent of that future job creation must occur in private-sector firms: WDR 2013, and a companion jobs study by the International Finance Corporation, note that governments will be able to productively employ only about 10 percent of the new job-seekers. So job creation in the private sector will be crucial. Combine the jobs crisis and the population surge with the global urbanization trend, and the challenge is even more acute – especially in Africa and South Asia, where the urban populations will double within the next 20 years. Worldwide, nearly two billion people will stream into ever-more-stressed cities by 2030 – most of them, in middle-income and low-income countries. The number and size of megacities is projected to soar, according to analyses by the McKinsey Global Institute, with an additional 310 million working-age people soon streaming into just 600 of the world’s most densely crowded cities. That will compound the complexities of urban management. Providing jobs for the impoverished, hungry, crowded urban millions will be the challenge of the century. To create anywhere close to enough jobs, competitive cities will need to shape policies that inspire startup firms and promote entrepreneurship; that create innovation-minded development clusters that can maximize the “spillover effects” among adjacent industries; and that channel investment toward economic sectors with the most promising growth potential. In a relentlessly competitive global economy, cities must develop policies and deploy solutions that will help them stay at their competitive best. Each city must strive to establish an enduring comparative advantage for itself – seizing or creating a specific niche within global value chains. A comprehensive approach to building urban competitiveness can promote investment where it will be most valuable: in innovative ecosystems that bring together networks of inventors, investors and industries – so that all those creative elements, in close proximity, can catalyze growth. Laissez-faire fatalism will clearly not be enough: Activist economic strategies and supportive public policies must rigorously focus on building competitiveness. The overall elements of such an activist, urban-focused strategy are clear: The hard part is in implementing them, case by case, in the context of each metropolitan region. Governments and the private sector must work closely together to ensure that a strong and agile infrastructure is continuously renewed; that a well-educated workforce is equipped with flexible job skills that match up well with the local economy’s needs; that advanced industries are incubated in concentrated clusters; and that disciplined investments in innovative sectors help each metropolitan area take maximum advantage of the region’s economic strengths. Among youth, unemployment is not always the issue. 621 million young people are “idle”—not in school or training, not employed, and not looking for work. Rates of idleness vary across countries, ranging between 10 and 50 percent among 15- to 24-year-olds. Source: World Development Report 2013 team. Private-sector companies will be the engine of job creation, but the public sector has a critical role to play, too – and governments must play that role energetically, not just half-heartedly. Sound policies must provide the enabling legal framework, regulatory regime and infrastructure that help industries compete. Industry-specific growth strategies should help focus local attributes and advantages on the industrial sectors that have the strongest potential for success. And a continuous civic dialogue must keep policymakers attuned to business’ evolving needs. Competitiveness strategies do not require heavy-handed attempts to “pick winners and losers” – an approach that some economies tried, with only limited success, a half-century ago. Instead, crafting market-attuned strategies for competitiveness will require both business and governments to reach deeper into their policy toolkit. Analytical tools, including the use of Big Data, can help promising growth industries stay flexible enough to meet ever-changing market demand. Most of all, such strategies will require a constructive dialogue among business leaders and policymakers, who together can channel supportive investments – in infrastructure, R&D, education and job skills – toward sectors that seem poised to gain a competitive edge. Mobilizing a metropolitan region’s innovation capacity and productive agility is certainly not easy – yet there are some cities and regions that have shown how they can focus their policies to “punch above their weight.” One of the most dramatic examples is Singapore, which has pioneered public-private coordination. Anticipating future market demand – a deft technique that Singapore’s leaders call “market sensing” – has helped Singapore stay ahead of market trends, rather than merely react to them. Seoul, Taipei, the Guangzhou-Shenzhen region of the Pearl River Delta, and other “Asian Tiger” cities have also shown how bold strategic bets can pay off. Focusing a region’s ambitions on specific sectors has certainly paid dividends for some world-leading competitors. Silicon Valley has famously thrived on government funding for high-tech innovation, often channeled through the Defense Department budget. The Research Triangle in North Carolina and Silicon Glen near Cambridge, England have catalyzed growth through close alliances among universities, government-funded research laboratories and local manufacturers. The same pattern holds true for the biotech industries in Maryland near the National Institutes of Health; the robotics cluster around Pittsburgh’s university medical centers; the ambitious nanotech corridor around R&D centers in New York; and the polymer-and-plastics enclave that has enlivened growth in the old tire-and-rubber city of Akron. There are cautionary tales, as well. Regions that fail to keep up with the tempo of change – such as the rusting old shipbuilding cities of northern England and Northern Ireland, the moribund steelmaking neighborhoods of Youngstown and Cleveland, and even the once-robust Route 128 technology corridor around Boston show how companies that lose track of market trends can squander their advantages. And the decades-long decay of now-bankrupt Detroit is a fearsome example of how regions overly concentrated on an underperforming niche can wither. Helping the developing world’s metropolitan regions make the most of their specific, local economic strengths is the aim of the Competitive Cities initiative, a part of the World Bank’s practice group on Competitive Industries. Helping cities succeed, by tailoring solutions to meet each metropolis’ particular needs, is crucial to achieving the World Bank’s mission: eliminating extreme poverty by 2030 and building societies that enjoy shared prosperity. The battle against poverty will be won or lost in the world’s cities – and those who hope to build a world free of poverty must help every city and region hone its competitive edge. Delivering transformational solutions will call for all the ingenuity that mankind can muster. Activist, urban-focused strategies that focus on competitiveness – maximizing the value of the private sector’s dynamism – can unleash the concentrated creative potential of competitive cities. 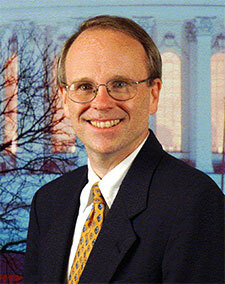 Christopher Colford is a consultant at the World Bank, in its network on Financial and Private Sector Development. That network’s Competitive Industries Practice helps the world’s developing countries strengthen their international economic competitiveness.